If your company is planning a business move, CarrierBid can help. CarrierBid can shop your existing services, to make sure you’re receiving the best pricing and most effective services. We’ll coordinate with your phone carrier, internet service provider(s), data networking company and your phone and I.T. vendors, to assure your services are up and running when you need them. There are circumstances when your current provider’s services won’t be available at your new address. You might be informed that your main telephone number can’t ring at your new address. 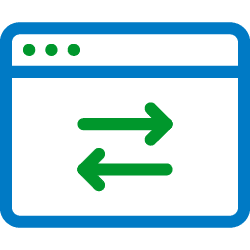 It might be possible to tweak your service, or introduce new services like SIP trunks or VoIP, and it makes sense to make those adjustments when you’re moving. CarrierBid can help you work through all these issues. You’ve got a hundred things to take care of when your business is changing locations, let the telecom consultants at CarrierBid take a few of them off your plate. Best of all, there is no fee for our service. If your company is planning a move, please call CarrierBid telecom consulting today or complete the web form on the bottom of this page.